Nationality law is the law in each country and in each jurisdiction within each country which defines the rights and obligations of citizenship within the jurisdiction and the manner in which citizenship is acquired as well as how citizenship may be lost. A person who is not a citizen of the country is generally regarded as a foreigner, also referred to as an alien. A person who has no recognised nationality or citizenship is regarded as stateless. Nationality law of Greece is based on the principle of jus sanguinis. 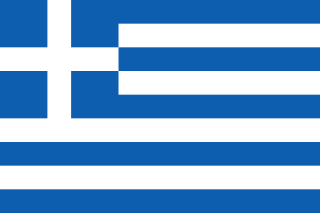 Greek citizenship may be acquired by descent or through naturalization. Greek law permits dual citizenship. A Greek national is a citizen of the European Union, and therefore entitled to the same rights as other EU citizens. Estonia: Article 8 of Estonian constitution states every child with one parent who is an Estonian citizen shall have the right, by birth, to Estonian citizenship. Germany: Article 116(1) of the German Basic Law confers, within the confines of the laws regulating the details, a right to citizenship upon any person who is admitted to Germany (in its borders of 1937) as "refugee or expellee of German ethnic origin or as the spouse or descendant of such a person." At one time, ethnic Germans living abroad in a country in the former Eastern Bloc (Aussiedler) could obtain citizenship through a virtually automatic procedure. Since 1990 the law has been steadily tightened to limit the number of immigrants each year. It now requires immigrants to prove language skills and cultural affiliation. Article 116(2) entitles persons (and their descendants), who were denaturalised by the Nazi government, to be renaturalised if they wish. Those among them who took their residence in Germany after May 8, 1945, are automatically to be considered as Germans. Both regulations, (1) and (2), provided for a considerable group of Poles and Israelis, residing in Poland and Israel, who are concurrently Germans. 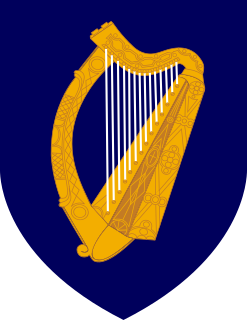 Ireland: Under Irish nationality law, any person with an Irish grandparent can become an Irish citizen by being registered in the Foreign Births Register at an Irish embassy or consular office, or at the Department of Foreign Affairs in Dublin. Such an individual may also pass his entitlement to Irish nationality on to his children by registering in the Foreign Births Register, provided he or she registered as an Irish citizen with the Foreign Births Register before the birth of those children. 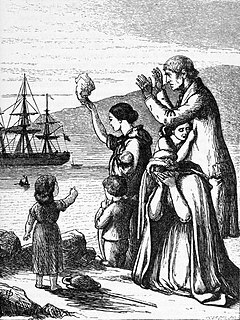 The minister may also waive the usual requirements for naturalisation as an Irish citizen for those of "Irish descent or Irish associations" although this power is rarely used. Armenia: Article 14 of the Constitution of the Republic of Armenia (1995) provides that "individuals of Armenian origin shall acquire citizenship of the Republic of Armenia through a simplified procedure." This provision is consistent with the Declaration on Independence of Armenia, issued by the Supreme Soviet of the Republic of Armenia in 1989, which declared at article 4 that "Armenians living abroad are entitled to the citizenship of the Republic of Armenia". Israel: The Law of Return offers citizenship to any Jew (see Who is a Jew under the Law of Return?) wishing to immigrate. Exceptions can be made for those considered by the Minister of Interior to be a threat to the welfare or security of the state. Israeli law also recognizes the descendants of Israeli emigrants living abroad as Israelis; this applies only to the first generation born abroad. Non-jews can become naturalized after five years' of residency and acquisition of a basic knowledge of Hebrew. ↑ Kostakopoulou, Dora (2008). The Future Governance of Citizenship. Cambridge University Press. pp. 26–27. ISBN 9781139472449. ↑ Vink, Maarten Peter; de Groot, Gerard-René (November 2010). "Birthright Citizenship: Trends and Regulations in Europe" (PDF). Florence: European University Institute. p. 35. ↑ Gansallo, Ayodele; Bernstein-Baker, Judith (2016). Understanding Immigration Law and Practice. Wolters Kluwer Law & Business. 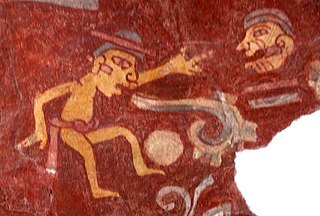 p. 570. ISBN 9781454850380. ↑ Branch, Government of Canada, Immigration, Refugees and Citizenship Canada, Communications (25 July 2013). "Acquisition of citizenship". www.cic.gc.ca. Archived from the original on 10 March 2017. Retrieved 1 March 2017. 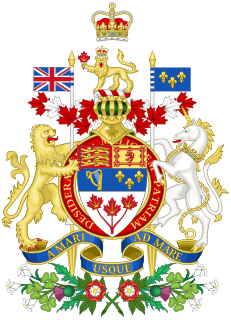 ↑ Branch, Government of Canada, Immigration, Refugees and Citizenship Canada, Communications. "Changes to citizenship rules". www.cic.gc.ca. Archived from the original on 3 March 2017. Retrieved 1 March 2017. ↑ "Dans quels cas un enfant est-il Français ?". 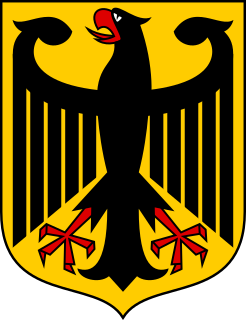 ↑ The Federal Expellee Law (German : Bundesvertriebenengesetz), § 6, specifies that also foreign citizens of states of the Eastern Bloc (and their desdendants), who were persecuted between 1945 and 1990 for their German ethnicity by their respective governments, are entitled to become Germans. The argument was that the Federal Republic of Germany had to administer to their needs because the respective governments in charge of guaranteeing their equal treatment as citizens severely neglected or contravened that obligation. 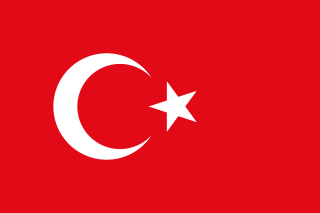 ↑ "Nationality Law: Article 976". Iran Data Portal: Princeton University. 2015. Retrieved 6 October 2015. ↑ "Tokyo court upholds deportation order for Thai teenager born and raised in Japan". The Japan Times Online. 2016. Retrieved 6 December 2016. ↑ English translation Archived 7 October 2009 at WebCite of the Polish Constitution. ↑ "Emigrantom z 1968 roku zostaną zwrócone obywatelstwa" [Polish citizenship reinstated to emigrants from 1968]. Wprost (in Polish). 4 March 2008. Retrieved 6 October 2015. ↑ "Das Einbürgerungs-Protokoll: Diese 92 Fragen musste Funda Yilmaz beantworten". az Aargauer Zeitung (in German). Archived from the original on 6 April 2018. Retrieved 6 April 2018. ↑ agencies, swissinfo.ch and. "Decision to deny citizenship to Turkish woman reversed". SWI swissinfo.ch. Archived from the original on 7 April 2018. Retrieved 6 April 2018. ↑ "Swiss vote for relaxed citizenship laws". BBC News. 12 February 2017. Archived from the original on 16 June 2018. Retrieved 6 April 2018. ↑ Council, The Federal. "Federal Decree on the Simplified Naturalisation of Third-Generation Immigrants". www.admin.ch. Archived from the original on 6 April 2018. Retrieved 6 April 2018. ↑ "Acquisition of U.S. Citizenship by a Child Born Abroad". travel.state.gov. Retrieved 19 March 2018. ↑ "Constitution of the Republic of Armenia". International Constitutional Law Project. 5 July 1995. Retrieved 6 October 2015. ↑ Tannenbaum, Jessie; Valcke, Anthony; McPherson, Andrew (2009-05-01). "Analysis of the Aliens and Nationality Law of the Republic of Liberia". Rochester, NY. SSRN 1795122 . ↑ "Constitution of Lithuania: Article 32(4)". International Constitutional Law Project. 25 October 1992. Retrieved 6 October 2015. ↑ Chu, Henry. "Welcome home, 500 years later: Spain offers citizenship to Sephardic Jews". Italian nationality law is the law of Italy governing the acquisition, transmission and loss of Italian citizenship. Like many continental European countries it is largely based on jus sanguinis. It also incorporates many elements that are seen as favourable to the Italian diaspora. The Italian Parliament's 1992 update of Italian nationality law is Law no. 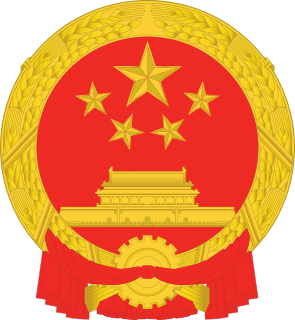 91, and came into force on 15 August 1992. Presidential decrees and ministerial directives, including several issued by the Ministry of the Interior, instruct the civil service how to apply Italy's citizenship-related laws. Paraguayan nationality law is based on the principle of Jus soli. The nationality law is based on the Chapter 3 of the Paraguayan Constitution of 1992. The Romanian nationality law addresses specific rights, duties, privileges, and benefits between Romania and the individual. Romanian nationality law is based on jus sanguinis. Current citizenship policy in Romania is in accordance with the Romanian Citizenship Law, which was adopted by the Romanian Parliament on March 6, 1991, and the Constitution of Romania, which was adopted on November 21, 1991. Chilean nationality law is based on both principles of jus soli and jus sanguini. Nationality law is regulated by Article 10 of the Political Constitution of the Republic of Chile. Azerbaijani nationality law is a nationality law which determines who is a citizen of Azerbaijan. Namibian nationality law regulates who is or may become a citizen of Namibia. The primary source of nationality law in Namibia is Article 4 of the Constitution of Namibia, with additional provisions provided by the Namibian Citizenship Act of 1990. Thai nationality law includes principles of both jus sanguinis and jus soli. Thailand's first Nationality Act was passed in 1913. The most recent law dates to 2008. The South Sudanese nationality law dates back to 7 July 2011, when South Sudan declared independence. It is based upon the Constitution of South Sudan.